While the National Football League has transformed into a high-scoring, pass-first league, this AFC Divisional playoff battle will be a throwback game. The Baltimore Ravens will host the Houston Texans in a match-up of strong defensive powered teams where the winner will advance and try to prove the old mantra: “Defense wins championships”. These two clubs already met once this season, a Week 6 contest in Baltimore that the Ravens won 29-14. Baltimore thoroughly outplayed Houston in that game, out-gaining the Texans 402 yards to 293. The Ravens defense did an excellent job in that contest, limiting Pro Bowl RB Arian Foster to 49 yards on 15 carries, while limiting the Texans to seven second half points. The Ravens will most likely stick to the same, effective game plan in this rematch, while Houston will hope the presence of a healthy Andre Johnson, who missed the previous game between these two, will add a spark to their offense to offset the loss of QB Matt Schaub. The general feeling in the greater Washington D.C./ Baltimore area is ‘there are no excuses.” Ravens fans fully expect their club to win this game and advance to the AFC Championship game next Sunday. It’s with good reason that these fans are so optimistic: they have a very good team. The Ravens won the toughest division in football and earned a bye on their way to a 12-4 record and the #2 seed. 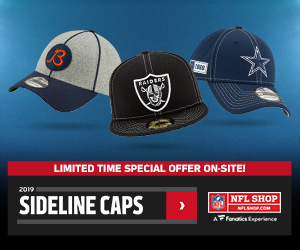 They boast one of the most dynamic offensive players in the game in running back Ray Rice and a still imposing, veteran defense that is capable of shutting down even the very best offenses in the league. The Ravens formula for success hasn’t changed much since their win in Super Bowl XXXV. They are a throwback squad that wins with a dominant defense and a conservative offense with an emphasis on running the ball. 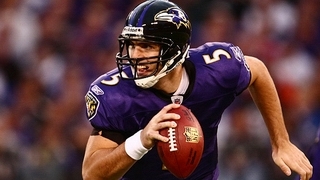 Baltimore QB Joe Flacco is capable of some big passing efforts, but is mainly called upon to be a game manager, with just enough play-action passes to keep the opposition honest. In their prior game, Ray Rice was the focal point of the game-plan and came up huge. He rushed or 101 yards and caught five passes for 60 more. Rice is a dynamic player and the MVP of the Ravens offense. When he receives 20+ carries, the Ravens win, while in the games where he has averaged only nine carries, Baltimore has lost. Joe Flacco also had a nice effort against Houston. He completed 20 of 33 passes for 305 yards. The emergence of rookie WR Torrey Smith as a deep threat has added some dimension to Cam Cameron‘s offense. Veteran WR Anquan Boldin is fully healthy and is still the team’s top receiver. Tight Ends Ed Dickson and Dennis Pitta usually catch a couple a passes each. 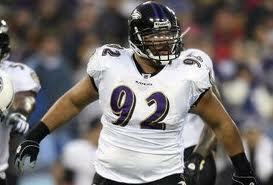 As long as this game is close, the Ravens will feed Rice the ball. Establishing an early ground game will potentially set the aggressive Houston defense up for play-action opportunities down-field for Smith and Dickson. Defensively, the Ravens finished third in the NFL, just a hair behind Houston. They were second defending the run and fourth versus the pass. Led by veteran MLB Ray Lewis, DT Haoli Ngata, OLB Terrell Suggs and S Ed Reed these dirty birds are experienced, aggressive and intimidating. The led the AFC with 26 forced fumbles and picked off 15 passes. Look for the Ravens 3-4 defense to crowd the line of scrimmage in an all out effort to shut down Houston’s NFL-best rushing attack. Baltimore’s number one priority, like their previous meeting, will be containing RB Arian Foster and forcing rookie QB T.J. Yates into unfavorable passing situations. Remarkably, the Texans are of a similar build as the Ravens: a run first team with a dominant 3-4 defense. But unlike Baltimore, the Texans don’t have the added pressure and expectations that perennial playoff contenders have in their opening home post-season game. In fact, Vegas has the Texans at 7 1/2 point underdogs, and few prognasticators give them any chance of winning. The Texans have the NFL’s top rushing attack, so they will look to protect their rookie third string signal-caller by pounding the rock with Arian Foster and Ben Tate. This duo was very effective all season, and narrowly missed being only the third pair to rush for 1000+ yards each. A huge, added dimension to Houston’s attack will be the return of All-Pro WR Andre Johnson. Johnson was limited to seven games this season, but showed up big last week in Houston’s opening round victory over Cincinnati. Wearing down the aging Ravens defensive front could lead to some big gains in play-action against CB Cary Williams, Chris Carr and LarDarius Webb. AJ isn’t the only capable pass-catcher for Houston. TE Joel Dreessen led the team in touchdown catches. He’ll play in two tight end formations and Gary Kubiak will look for Dreessen, Owen Daniels or WR Kevin Walters to be lined up with former Texans S Bernard Pollard. On the other side of the ball, the Texans are as capable of dominating the game as the Ravens are. Despite losing DE/OLB Mario Williams for the season after five games, the Texans finished with the NFL’s second ranked D.
Their 3-4 is led by Wade Phillips, arguably the most important off-season acquisition in the NFL. Phillips installed a brand new scheme and system and totally turned around the league’s worst defensive unit. And he did it all without the benefit of OTA’s. 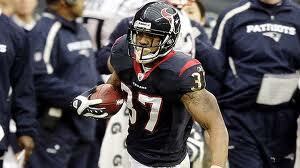 The Texans will also look to focus on shutting down the opposing rushing attack. DE Antonio Smith and rookie JJ Watt provide constant pressure and allow for the linebacking corps to make big plays. Houston has about as good a foursome as there is in the NFL. DeMeco Ryans, Brian Cushing, Connor Barwin and rookie Brooks Reed are all capable pass rushers and are excellent run stoppers. Free agent CB Jonathan Joseph is one of two Texans Pro Bowlers and has been the most important addition to a beleaguered Texans secondary. Fellow free agent acquisition S Danieal Manning has been a solid addition and serves as the team’s kick returner. CB Jason Allen and S Glover Quin have had solid seasons as well. The pressure is all on the Ravens to win a game they’re supposed to win. This game has all the makings of a classic defensive struggle where turnovers will be the key. This game has the lowest over/under of the week at only 36 points. 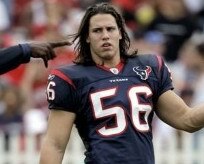 Look for the game to stay on the ground and for the younger Texans to begin to wear down the Ravens. Don’t be surprised if Houston holds on to a slim, fourth quarter lead but to fall back into the tragic history of pro football in that city. The Texans will nurse a 16-14 advantage in the fourth quarter. Gary Kubiak will predictably become ultra-conservative and allow Joe Flacco to hit a deep pass play to Torrey Smith over CB Kareem Jackson. The game will be won with a late field goal from Billy Cundiff, who will send the Ravens to New England and the AFC Championship game, while breaking the hearts of Houston’s long-suffering fans.